Often caused by diabetes, peripheral neuropathy can be painful and debilitating. People with this condition have damage to their peripheral nerves—the nerves that carry messages to and from the spinal cord and brain to the rest of the body. 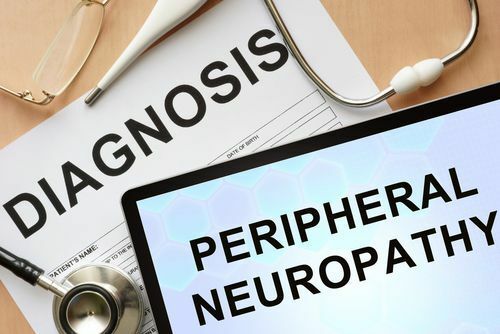 Other causes of peripheral neuropathy include toxins, cancer, immune disorders, and genetic disorders. Peripheral neuropathy can be misdiagnosed and sometimes goes undiagnosed, especially in veterans. This is because veterans often fail to report their symptoms, believing they are a natural part of aging, or they don’t want to complain to their doctors. Misdiagnosis can also occur if medical professionals fail to listen to a veteran or order the tests needed to determine a neuropathy disability. If you’re a veteran who suffers from peripheral neuropathy, it’s important that you be diagnosed accurately. It’s possible that your condition is related to Agent Orange or linked to diabetes that can result from exposure to this toxin. If you can show that your symptoms are a result of diabetic peripheral neuropathy that was caused by your military service, you may be eligible for compensation. If you are a veteran who suffers from diabetic or other peripheral neuropathy that was caused by your military service, and your symptoms make it difficult to work, contact us at 402-933-5405. We’ll discuss your situation and determine if you might be eligible for VA Disability benefits.